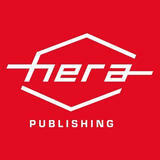 This is the official site for Hera Publishing international shipping. Up to two volumes are possible with one order. [REGISTERED AIR Small PACKET] by japanpost (Small package up to 2000g) ATTENTION! When ordering Please write address without omitting it. Add your usual bullet address to the remarks column. [Registered International ePacket] Delivery In: 4 – 7 days (the number of days may change due to the flight the package is sent on, customs, local handling, and other factors) ・Delivery areas are divided up until three categories: Asia / North America, Europe, Oceania and the Middle East / South America and Africa. ・The delivery charge shown on the country checklist is the charge for a single book. ・Weather conditions, airline strike action and other issues may mean delivery is not possible. In these instances your order will be cancelled and return procedures immediately performed. ・We have also prepared a cart item with both books as a set. *Additional delivery charges will be incurred due to the increase in weight. (Increase due to weight \1000) For Shipping Rates ❶book×1(900g~980g) ❷book×2(1700g~1750g) ASIA ❶1600yen ❷2200yen North America,EU,Oceania,Mideast ❶2100yen ❷2800yen South America,Africa ❶2700yen ❷3700yen * A number of countries are already included in the check list. * We do not deliver to post boxes, hotels and schools.